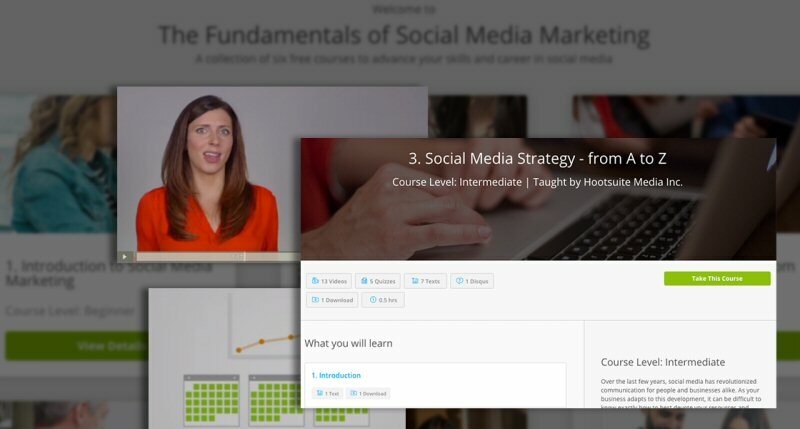 Hootsuite, the most widely used platform for managing social media, today launches Podium, a free online education platform to help people develop modern skills for leveraging social media for business. Podium also offers an industry-leading certification in social media marketing, giving users the opportunity to showcase credible, sought-after skills to employers and clients. "The role of social media in driving business has seen a huge shift in the past few years, and with that shift we're seeing a growing skills gap. Across the board, workers not only need to develop these newly required digital skills, but also need to prove and showcase their expertise in a competitive marketplace," says Ryan Holmes, CEO of Hootsuite. Demand for social media education has grown rapidly and Podium is the only online social media education program offering all of its education content for free. In fact, jobs that require social media skills have increased 89 percent, making social media one of the top ten fastest growing job trends, according to job site Indeed. Indeed's Chief Economist, Tara Sinclair emphasized that training in these cutting edge skills is needed to succeed in today's labor market. "The video modules in Podium are very easy to follow. They're broken up into bite-sized chunks of information that walk you through the entire social media marketing process. This training is valuable for anyone looking to manage their social media profiles in an effective manner," says Koka Sexton, Content Marketing and Social Media Team, Corporate Communications at LinkedIn. Hootsuite is the most widely used platform for managing social media, loved by over 10 million people around the globe and trusted by more than 800 of the Fortune 1000. With Hootsuite, brands harness the power of social. Our platform brings together your social networks and integrates with hundreds of business applications. It's the one place to build customer relationships, listen to the needs of the market and grow your revenue. To learn more, visit www.hootsuite.com. More than 40 short, tactical videos with tips and strategies on the fundamentals of social media marketing, including content marketing and social advertising.